Your lawn mower is not working properly and you don't know what it will cost to have it repair. 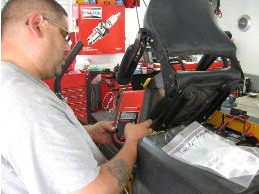 Our Up-Front Pricing gives you control over what you will spend having your equipment repaired. Here is how it works. *If you decide NOT to have any repairs done a minimum $35.00 fee for diagnostics will be charged. Address: 55 Ed Few Rd.